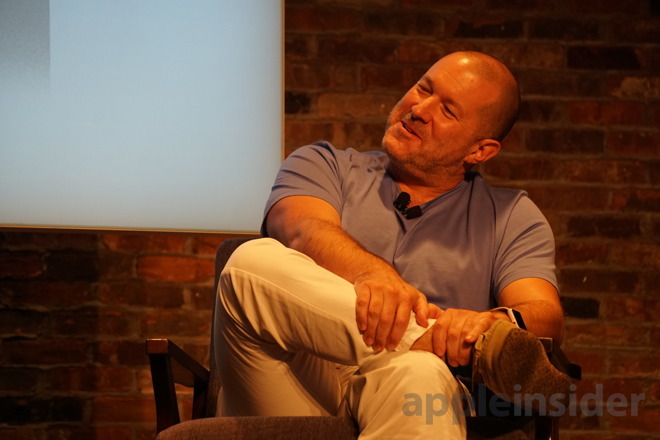 Apple Chief Design Officer Jony Ive took part in a one-on-one interview at The New Yorker's TechFest event in Manhattan on Friday, where he spoke about the design process, the joys of working at Apple, and even the downside of advanced tools like the iPhone. AppleInsider was there live and shares highlights from the interview. In a talk with David Remnick of The New Yorker, Ive was asked what designs he detests. The iconic force behind Apple's product design quipped: "Most things, really." Most items, he said, are built to a cost or a schedule, but are not built for people. Apple, on the other hand, has a far different approach to design, he said. "I truly believe that we may not be able to consciously articulate why we like something," Ive said. "But I believe, as a species, I believe we sense care. We find it very hard to articulate, but we genuinely sense care in the same way we sense carelessness." Remnick asked Ive about smartphones before Apple began work on the iPhone, and Ive said that the one thing all of Apple's designers shared in creating the iPhone was simple: They hated their current phones. "They were a little soul destroying... They were flippant," Ive said. "They were poorly made. To me, they testify to convenience and a lack of ambition." Ive was also asked about whether he has the time to appreciate how much his products have affected and changed the lives of individuals around the world. He said he spends so much time being focused on Apple's next thing, that it can be difficult for him to truly grasp the impact he has had. To him, responses from customers who take the time to write in an email or a letter, detailing their personal experiences and how Apple products have had a positive effect on their lives is the most rewarding part of putting a product out into the wild. But he also admitted that new technologies —or an advanced "tool," as he called the iPhone —have pros and cons. When asked what a negative of the iPhone is, Ive admitted that "constant use" is a misuse of the technology. Does Ive have that problem? He hinted that the intent behind the design of the Apple Watch was to address the very problem that the the iPhone created. 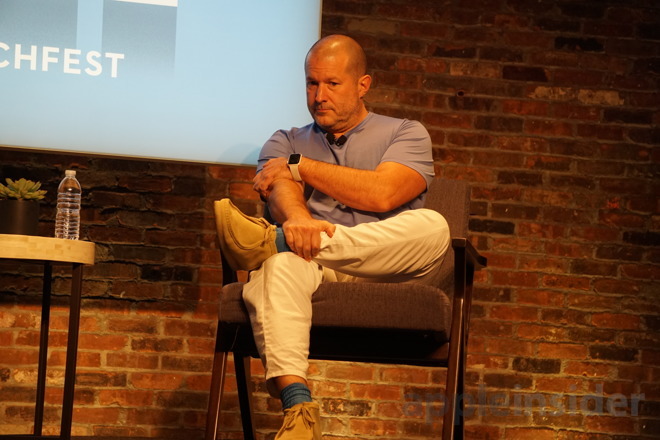 "With my watch, I tend to not," he quipped, joking that it was a plug for the new Series 3 model with cellular. But he also noted that finding a balance in life, with all objects and tools and interactions, is a constant struggle that existed long before modern technology, let alone the iPhone. "It's just nice to have space," Ive said. "I think we fill space because we can, and not because we should." Ive was mostly reflective during the speech, dwelling on his time at Apple and what drew him to the company. He spoke about his early days at Apple and a "succession of CEOs" that occurred before Steve Jobs returned to the company. Still, through it all, he said he never lost faith in the potential of Apple and what the company stood for. "I moved from London to join this group of hippies in California, and I thought there was something very special about the company," he said. But for him, the most valuable part of the Apple experience is the time and effort that it takes to create a product, to design it expertly inside and out, with a team of people who are passionate about technology and how it can enhance the lives of millions of users. "What I will remember most fondly will not be the products," he said, "it will be the process."